One Night Stand are without doubt one of the most sought after wedding bands in Scotland. They're contemporary and exciting, part of the new wave of incredibly talented bands now available for your wedding or event. We're One Night Stand, the Scottish band to book for your next event, be it a corporate party, a wedding, an awards ceremony or anything that requires lively entertainment, great music and a brilliant atmosphere. You'll get everything you'd expect from a professional function band; great songs to suit all ages, reliable state of the art equipment plus a pleasant and accommodating manner. You'll also get a band that sounds bang up to date with stunning five part harmonies and exceptional musical ability. In short, we’re hoping you’ll find us to be the perfect band. We pride ourselves on a blinding ceilidh set featuring live fiddle and accordion from our multi instrumental line up. In effect you're getting two bands for the price of one. Not bad eh? We'll be happy to learn your first dance with enough notice and it's very likely we'll have played in your venue before - so you can relax in the knowledge that we'll know our way around your venue and how to get the best possible sound, even if there are sound limiters installed. We're based in Ayrshire and Glasgow and are happy to perform across the central belt of Scotland. Check availability and get an instant direct price quote right now. Hopefully we'll see you soon. Fantastic service from start to finish. Band were amazing such an amazing night. Thanks guys! One Night Stand were amazing at our wedding on Saturday. Our guests are still raving about them and the dance floor was never empty. I would not hesitate to recommend them. They really made our night special! Band were absolutely awesome and kept the dancefloor filled from start to finish - mega!!! We chose One Night Stand based on a recommendation from our venue, having not seen the band prior to signing them up we were a bit apprehensive, however we should not have worried one bit. They were absolutely fantastic! From the minute we kicked off our first dance until the last dance at night the dancefloor was full all night long. The band knew how to keep folk on their feet with a good variety of tunes. They even trialed a small section of mid 90’s dance music which worked very well too and was a bit different for a wedding. In the lead up to the big day the band were good at keeping in touch with us, from timings to first/last dance songs. A massive part of us choosing One Night Stand was that they would learn our first dance song, which they performed brilliantly. One Night Stand are a fantastic function band, which is reflected in the number of people who have asked us since “who were your wedding band” with a view to hiring them for their own functions. We really can’t recommend the band highly enough. Amazing wedding band got everyone up dancing for the whole night with their perfect mix of songs. So many wedding guests have been asking about them since the wedding and keen to recommend also. Made the night so much fun. Can't recommend enough! One Night Stand were amazing, all the guests were up dancing and the song choice's were perfect. The interaction with the guests was so much fun and we couldn't have been happier with how our wedding evening went and it was all down to the band. Communication from hire a band leading up to the wedding was great and emails always answered quickly and helpfully. One Night Stand were amazing at our recent wedding, they kept the dance floor full all night and made sure all of our guests got on their feet! Stuart was in touch before the wedding which was great to have everything confirmed! Just a note to say a big thanks to everyone at Hire a Band, you were reassuringly on top of managing the whole process from the minute we booked One Night Stand. It's great not having to constantly contact key suppliers to ensure all is well, especially for a wedding booked 18 months in advance. The band were fantastic, not once during the entire evening was the dance floor anything but packed. I'm naturally biased but I've never been to a wedding quite like it and I've been to lots. The hotel staff were also raving about them! 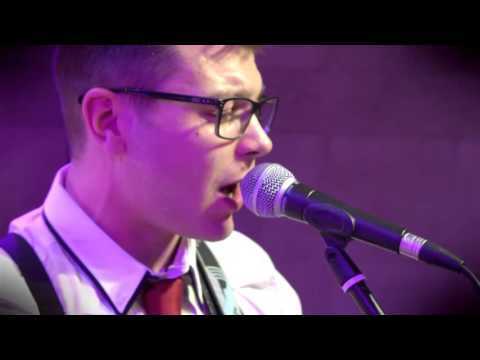 One night stand played at our wedding at the Waterside Hotel on July 15th. What can I say other than wow what a night!! Our wedding guests are still talking about how great you were. The sing off and dance off were excellent as was watching our guests doing some Scottish dancing. We highly recommend one night stand as a wedding band you definitely won’t be disappointed!! One Night Stand were an amazing wedding band. They played a mixture of styles ensuring the dance floor was always busy. The dance and sing off were both unexpected but everyone loved them. Great to have a couple of ceilidh tracks included in the set list. Very accommodating with first dance selection. We had a great day and the band topped it off brilliantly. Superb performance by Stuart and the guys and they kept us dancing all night. I was knackered in the morning. Top work and I wouldn't hesitate to recommend them. Thanks very much, particularly for moving the ceilidh set until after the buffet so we could be whisked away to the beach for some more photos. One Night Stand were fantastic. Great variety of songs performed and got everyone up dancing. One of our guests wanted to get up and sing and the band were very accommodating but also checked with me before allowing him up which was very thoughtful. They got us doing a boys v girls sing off and dance off which was really fun & got everyone up on the dance floor. Cannot praise these guys enough. Had an overall great experience from initial booking right through to day and beyond. Very professional and helpful service from everyone involved, both the band and Hireaband. We got married in March and One Night Stand played at our reception. These guys were absolutely amazing on the night and great communication throughout the booking process. They had everyone on the dancefoor all night! Cannot recommend these guys highly enough! We got married in March and One Night Stand played at our reception. These guys were absolutely amazing on the night and great communication throughout the booking process. They had everyone on the dancefloor all night! One Night Stand played our reception in Arta, a few weeks ago, and they were brilliant! They interacted really well with everyone to ensure we all had a great time and kept us dancing the night away. Everyone loved the dance off as well! Highly recommend these guys, we had a great night on the 11th September. There singing is amazing and really gets everyone up on the dance floor. They sang our first dance song perfect! 5 stars isn't enough for these guys and worth every penny! Fabulous band, the boys kept my dance floor busy all night and they added some fun to our night with dance off etc .. would highly recommend, they were very helpful, made sure that everything ran to plan. Excellent. Brilliant band!! 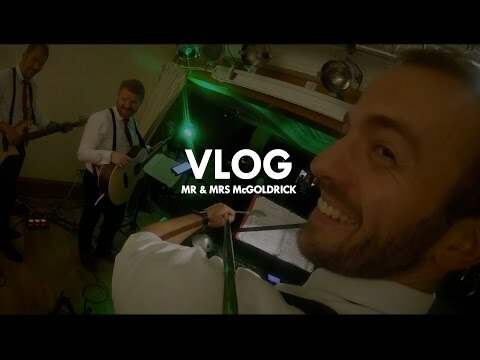 Played at my sisters wedding in August 2017 and we were so impressed!! These amazingly talented and lovely guys played at our wedding yesterday at the Corinthian. They were phenomenal: they had the dance floor packed the entire night, their play set was a perfect mix of classics and newer songs and all in all, they were just perfect!!! They learnt our first dance song in less than a week and it was beautiful. More than that they let my husband and I sing our first song to one another and made us feel totally at ease while we did so. Our guests have been raving about them all day and I would recommend them to any couple who are looking for the perfect blend of old and new tunes to entertain any guest list. Most of our guests were English and somehow these boys managed to get almost all of them up on the floor doing Scottish country dancing during a short Ceilidh segment. Brilliant!!! ONS played our wedding in St Andrews on 14.07.17 and were absolutely fantastic! They had the dance floor packed for the whole night. All of our guests have commented on what an amazing band they were and how so many people were dancing all night (even those who might not normally dance!). Their energy is brilliant and they interacted so well with the crowd. We loved the dance off and sing off surprises too! Great atmosphere. Overall, I cannot recommend this band highly enough. A great bunch of very talented guys who were fun and professional and made our wedding reception one to remember. If you're looking for your wedding band- Stop! You won't find better than One Night Stand. One Night Stand were absolutely amazing! They really played a massive part in making our wedding reception such an awesome night. All of our guests have commented on how much they enjoyed the band and their play list. Both Hireaband and the band we had One Night Stand were very easy to work with. All our guests at the wedding commented on how good the band where and how diverse their set list was. I would definitely recommend them. Excellent from start to finish, good service from website and any correspondence, excellent band! What a night!!! Honestly not sure where to begin with ONS.... you guys were amazing!! Thank you so much for providing our guests with brilliant music, safe to say the dance floor was never empty! Chris and myself had a fantastic night! Attended a wedding these guys were playing at and they were amazing! When u think bands at weddings you panic, but these guys blew it out the water, will recommend in a heartbeat!!!! Both Karen & I couldn't have asked for a better live band for our wedding, from the choice of songs through to the professionalism of performance. All the One Night Stand guys were on great form, were up for a laugh and really made our wedding reception special. They absolutely nailed our first dance song too. Would 100% recommend them to friends. Also booking via Hireaband was easy and made the whole process straightforward. Thanks again to both the band and the team at Hireaband. One Night Stand were a fantastic band & we wouldn't hesitate to recommend them to others. They kept the dance floor full all night & catered to everyone's tastes. Ever since the wedding everyone has been raving about how great the band were & they all had a brilliant night. The band clearly love what they do & if they're enjoying themselves then so is everyone else! The band looked and sounded amazing. They played a good range of music and sounded great on all. Really friendly and fun too getting the guests involved in a dance off. The dance floor was full all night and the band really made the night. Big thanks to one night stand you were brilliant. One Night Stand were absolutely fantastic! I could not recommend them highly enough. Their music was amazing! People were quick to compliment them and some are keen to book them for upcoming events. The guys themselves were so kind, caring and genuinely nice guys! 10/10 and thank you for an amazing night! We booked One night stand for our wedding this weekend past! They were great fun, engaging and the vast well performed repertoire was well received and most importantly they played the Killers for the father of the bride! Thanks again guys! Awesome! I chose this lot after seeing them at another wedding I was so impressed by their cheeky charm and talent. The boys made the evening fun by playing a few games and involving the whole party! Their range in songs is great and suits everyone they r sure to get everyone on the dance floor. They even took on birdy for our first dance and did an amazing job! Seriously talented band! One night stand played at our wedding on Saturday and they were outstanding. I can not fault them in anyway! Great at communicating on the run up to the wedding, FANTASTIC on the night and everyone has been talking about them since. Thank you so much for keeping our dance floor filled! Attended my friends wedding last night with this band playing, absolutely fantastic! Had a brilliant night and the music and interaction with the band was first class. Highly recommended! Band were absolutely brilliant. Really good bunch of guys who made the evening of the wedding a real success. Got involved with all the guests. Would highly recommend. Played at my nieces wedding fantastic band! The band played at my daughter's wedding last night. They were awesome. Thank you guys! One Night Stand were outstanding. We had so many comments from our guests and they honestly made our reception the best ever. We cant thank them enough. Just want to thank One Night Stand for playing at our wedding! They were amazing!! The dance floor was jumping the whole night. A great bunch of guys as well and thanks so much for playing our requested song. Would highly recommend!!! Thanks again. You guys absolutely smashed it!! What a great group of entertainers!! You kept all the guests interested and all the songs were perfect! Dance offs, sing offs and even involving out wee boy!! Definitely recommend you to anyone. Thanks for an amazing night. If I could give more than five stars I would! The band played at my 30th party and were absolutely amazing. The dance floor was always full and the dance off was hilarious! People who normally don't dance couldn't help themselves and got up too! I've had so many guests contact me with compliments about One Night Stand. They made the night and are the loveliest guys too which helps! Thank you for everything from one incredibly happy customer. One Night Stand played our wedding in August 2016 and I cannot recommend them highly enough. A great variety of songs were performed and the dance floor was full all night. If anyone is looking for a band to play at their wedding then I encourage you to check these guys out as they were superb. The video blog produced the following day was exceptional and a great way to look back on the day so quickly as well. We can't thank One Night Stand enough, they are a fantastic band the dance floor was never empty!! Everyone is still talking about them. Thanks again guys! Amazing band and an amazing night. Up for a laugh and got everyone going. So accommodating. Just great. Thank you for being part of our day. Great atmosphere and a lot of fun which made a great night. What a night, music was great with a great selection, had the guests dancing the night away. Great band. Good song choices and lots of fun. Would highly recommend. Great guys great music can't thank you enough we had a ball and everyone had sore feet lol. One word to describe One Night Stand... AMAZING!! Thanks for a wonderful night. One Night Stand were amazing. All our guests commented on how great they were. If I ever needed to hire a band again I would certainly look to book them. What a great band. Had everyone up dancing and couldn't have been a better bunch of guys. If your looking for a band that's great fun and are talented musicians this is the band for you on your big day. 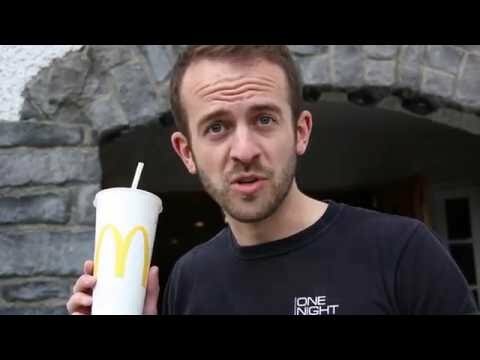 Hey Stuart and One Night Stand guys...! Just a quick message from myself and the hubby to say thank you so much for everything last Saturday! We and all the guests had a fantastic time! We have received some amazing feedback and lovely messages. The day / night couldn't have gone any better for us! Thanks so much!!! One Night Stand have been one of the main topics of conversation with our guests since the wedding and every comment has been amazing. They defo made it a fantastic night and I would recommend them to anyone. They sang our 1st dance song perfectly and made it such a magical experience, I wouldn't have changed a thing. My 4 yr old son was there biggest fan on the night and has asked if he can see them again. Hopefully we will soon. Thank u very much. So glad with our choice to have One Night Stand play at our wedding. The boys were very friendly & this showed in their performance. The dance floor was never empty & all our guests raved about the boys. Perfect playlist, there wasn't a bad song! Would recommend to anyone. One Night Stand were amazing and did a fantastic job of keeping the dance floor full with a variety of music being played. We both had the best day ever and cannot thank the band enough!! Just wanted to drop you a line to thank you for the awesome performance at Loch Lomond Waterfront last weekend! You guys were great and I shall write a glowing recommendation on your Facebook page :-) Also thanks for making a fab job of my favourite Beyonce track! Great service by Hire a Band and also great friendly guys to have there on the night! Thanks again! A massive thank you to the 'One Night Stand' guys. They are truly an exceptional band and made my wedding reception an amazing night. I had booked a band I knew and they unfortunately pulled out at the last minute. We were extremely lucky that One Night Stand were available! They were amazing from the minute of booking them until the end of the wedding. They spoke with my husband about our first dance, what exactly we wanted. They were really personal, sent us a best wishes text the morning of our wedding. They turned up early and were set up waiting for us to begin the party. I would highly recommend them for any event, especially weddings. My husband and I know our music, my husband and our groomsmen are djs and I'm a professional dancer however I would urge people to TRUST their judgement on the choice of music! They were fantastic - everyone commented on them! They knew exactly what to play and when to play it. They had a great mixture for all ages. I really can't express how appreciative I am that we came across One Night Stand! Book them now before they're booked out! One Night Stand were an absolutely perfect choice for our wedding and after most guests never being off the dance floor and everyone complimenting us on our choice of band we knew we had picked the right one. They created a great atmosphere to have everyone dancing and I've no doubt they contributed hugely to making our wedding reception the amazing night it was. Would highly recommend the boys to anyone and have already had phone calls requesting their details.Thank You so much for contributing to what was an amazing party. Just wanted to say thanks for making our wedding such an amazing event yesterday. Everyone is saying you guys are the best wedding band they've seen. You rocked..